Professor Mattoo is a Professor of Disarmament Studies at the Centre for International Politics, Organisation and Disarmament at New Delhi's Jawaharlal Nehru University and has been a Member of the National Knowledge Commission, a high-level advisory group to the Prime Minister of India. 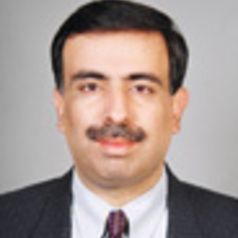 Professor Mattoo was the Vice-Chancellor of the University of Jammu from 2002 – 2008. He received his Doctorate from the University of Oxford and has been a visiting Professor at Stanford University, the University of Notre Dame, the University of Illinois, and the Maison des Sciences de l'Homme in Paris. He has published extensively, writes regularly for Indian newspapers and is a well-regarded commentator. He has been awarded the Padma Shri, one of India's highest civilian awards, for his contribution to education and public life.